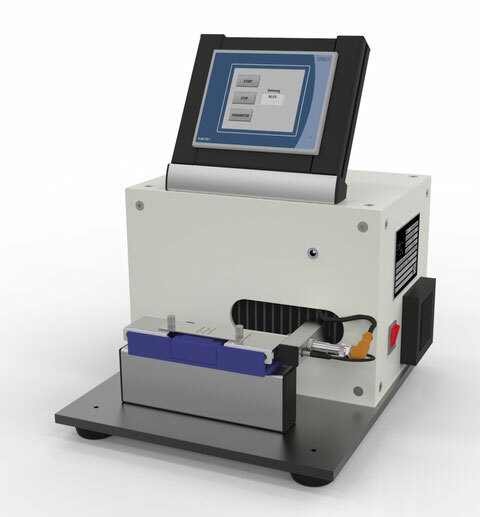 This test device determines the working time of elastomeric impression materials. The material is put between two plates and 1 plate is moved. After tying of the material, an elastic recovery occurs, which is measured by a displacement sensor. The smooth-running of the carrier and the test is performed complete automatic. The software automatically determines the processing time. The automation of the test sequence and the functional structure of the software allow an easy operation. This reduce the user influence on the results and improve the reproducibility of the results.